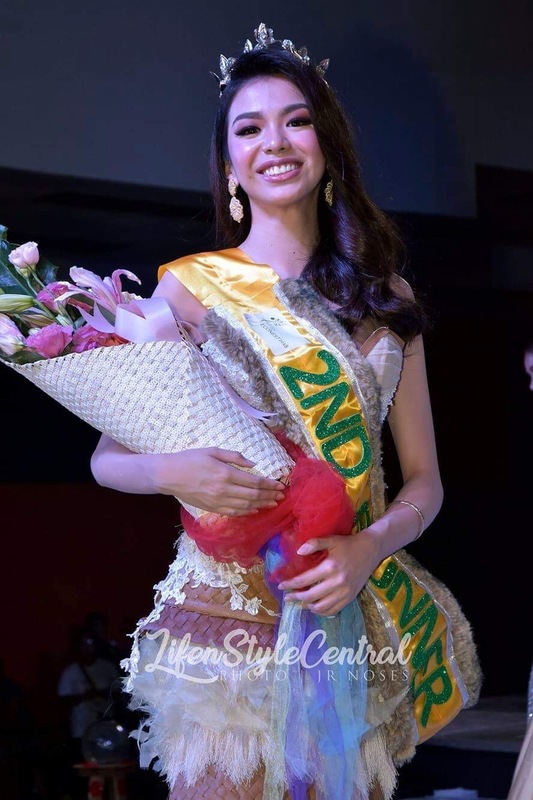 Christine Juliane Opiaza of Olongapo City emerged victorious as she was crowned ‘Miss Econest 2018’ held last October 27 at the Subic Convention Center. She bested 16 other candidates of the said inaugural pageant. 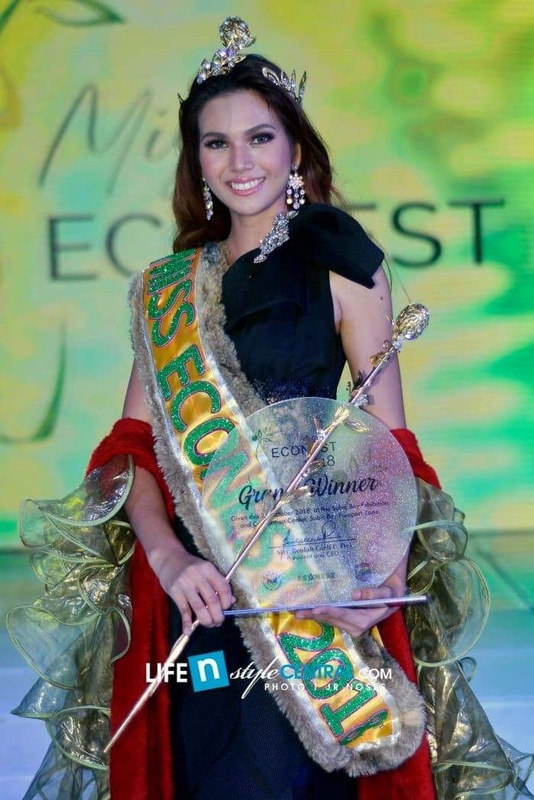 Freelance model Christine Juliane Opiaza of Olongapo is the very first winner of Miss Econest pageant. Opiaza will serve as the newest ambassador in protecting the environment especially in the proper solid waste management sector. 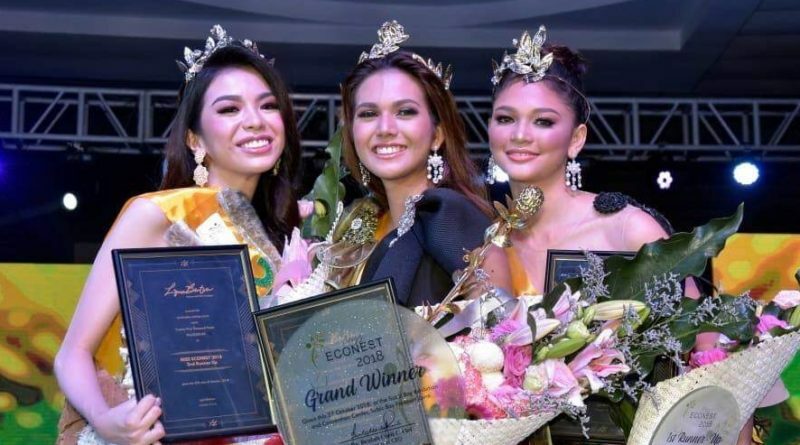 Romblon’s Jane Nicole Miñano and Bulacan’s Leandra Batingan placed first runner-up and second runner-up, respectively. The candidates wore the creations of fashion designer Estien Quijano as well as the students of Institute of Creative Entrepreneurship during the evening gown and swimwear rounds. The materials used were made from sanitized fabric, leather trimmings, and accoutrements recovered from the Hermosa Sanitary Landfill Capacity. Miss Econest 2018 first runner-up Jane Nicole Miñano poses for photo during the coronation night. The event was organized and promoted by Econest Waste Management Corporation in partnership with the Provincial Government of Bataan. Econest is the private partner of the Local Government Unit of Hermosa, Bataan, for the rehabilitation, operation and expansion of the Hermosa Sanitary Landfill Facility. Part of its advocacy is to promote awareness on proper solid waste management as an entry point for sustainable development. Miss Econest 2018 second runner-up Leandra Batingan poses for photo during the coronation night. Portion of the proceeds of this event will be allocated to the proposed Ecoguardians Foundation. It will be a non-stock non-profit organization of volunteers from different sectors including senior citizens, youths, solo parents, person with disabilities barangay health workers, farmers, fisherfolk, and among others.